This is the Darth Vader we all know. But the character might not have been the same if famous Japanese actor Toshiro Mifune had taken the role. The Japanese influence in Star Wars is no accident. George Lucas’ hero is acclaimed filmmaker Akira Kurosawa, and he was inspired by the Japanese director’s films, such as The Hidden Fortress. According to a famous bit of Star Wars trivia, Lucas even wanted actor Toshiro Mifune, who starred in many Kurosawa films, to act in Star Wars. The trivia, which has been repeated for years now, says that Lucas tried to get Mifune to play Obi-Wan Kenobi—something that Lucas confirmed. The choice makes sense. But what if Lucas wanted Mifune to play another character? On a Japanese quiz show Sekai Fushigi Hakken! (世界ふしぎ発見！), Toshiro Mifune’s daughter, Mika Mifune, recounted how her famous father was first asked to play Obi-Wan Kenobi—an offer he turned down. Then, Mika continued, Mifune was offered the role of Darth Vader. The villain’s helmet was apparently designed with Mifune in mind, and if Mifune had taken the role, his face supposedly would have been visible. The inference is that Lucas really wanted the famed Japanese actor in his movie. However, Mifune thought the sci-fi flick was going to be a kid’s movie, hence him passing on the project. Mifune as Obi-Wan Kenobi is a little easier to wrap one’s head around. At that time, he was an international superstar and a hero of Lucas’. 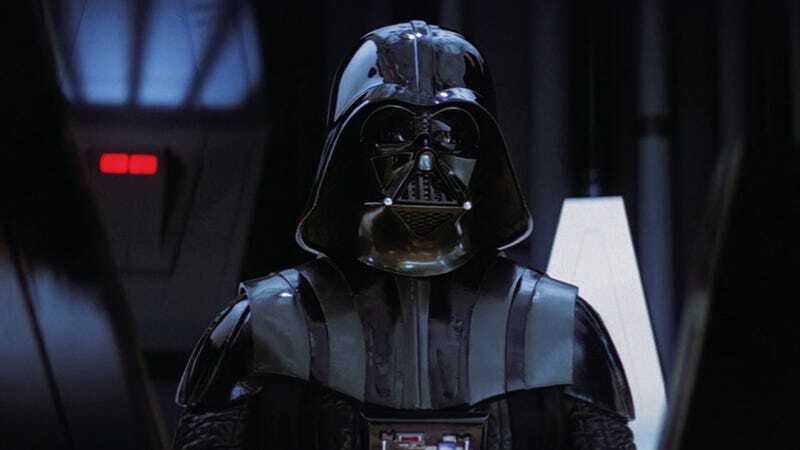 Vader has become inseparable from the suit and the voice of James Earl Jones, making it harder to see the character any other way. Mifune daughter wasn’t born until 1982, so her account isn’t exactly first person—and it’s something I don’t ever recall hearing. If this bit of trivia is true and if Mifune had played Darth Vader, the character could have certainly developed differently during Lucas’ writing process. For example, the Sith Lord might’ve had a badass beard. For more on the development of Darth Vader, check out The Secret History of Star Wars. This article was originally published on January 14, 2013.